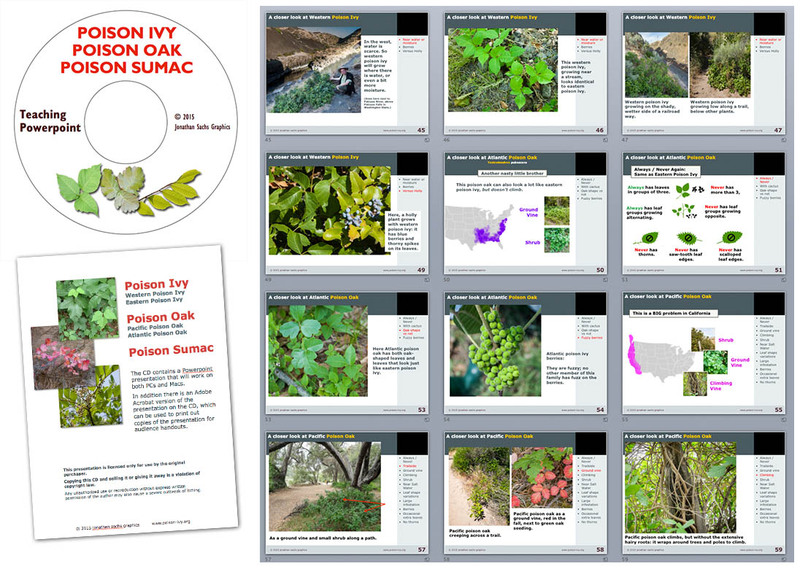 This 150-slide PowerPoint show allows you to teach classes all they need to know about identifying and dealing with all forms of poison ivy, poison oak, and poison sumac. The PowerPoint is editable so you can customize for your audiences if needed. The presentation comes on a CD with a 25-page booklet of the images, 6 to a page, for use by the presenter. A PDF file allows the buyer to print copies in a variety of formats. $55.00, shipping and handling included. 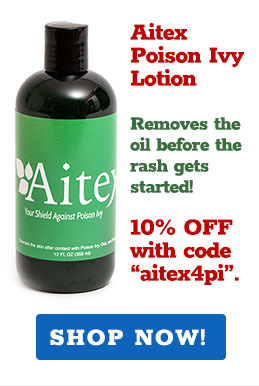 Contact us for bulk orders or customized versions.